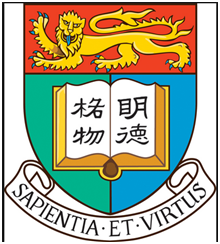 Hong Kong is the territory ‘s first and oldest university, with its first class of students enrolled in 1912. For over a century, hku has produced generations generations of graduates who have served the community as leaders in almost every walk of life. 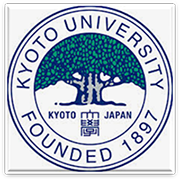 The university has ranked to top 10 universities in the world. Hku has internationally renowned teachers, first rate libraries, state of art equipment and facilities. The university also leads the way in terms of funding and awards from the government and support from the community, which in turn means exceptional support and facilities for students. We will place emphasis on research at the wellspring of disciplinary knowledge, advance cutting-edge, original research, enhance our role as a hub for research of the highest global standard, and cultivate individuals capable of assuming leadership positions and making important contributions to many fields of social life, all while upholding “academic freedom” supported by high ethical standards. Logic Booster is brought to you by Learnix Edutech Pvt. Ltd., a fast emerging education and technology enterprise, founded by IIT-BHU graduates. It is a learning solution focused on developing reasoning skills among students with the help of interactive digital content, study material and regular assessments. Maths curricula around the world emphasise the process of reasoning as one of the key mathematical practices. Reasoning fosters the mind to uncover hidden answers rather than going for quick solutions. It creates an aura of understanding where logic becomes an integral part of a student’s thinking. Furthermore, reasoning is a very important component of all competitive examinations and must be included in a student’s curriculum at an early stage for optimum results. For this purpose we have introduced logic booster for the students of classes V to VIII. Our motto is to be with our students, to mentor, motivate, guide and accompany them in their educational journey, till they cross the milestone of their coveted entrance examination. We nurture aspirations and facilitate achievement, and we specialize in providing correct and relevant information related to business school admissions. 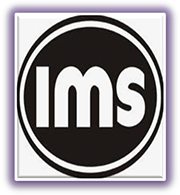 Today, after more than 35 years in this industry, we have managed to touch the minds and lives of millions of students through our network of more than 75 centers across 44 cities, with a family of over 1,000 working with the IMS brand. Educomp is the largest Education Company inIndiaand the only company spread across the entire education ecosystem. From schools to skills; Educomp group empowers over 20 million learners and educators across ~32,000 schools to imagine, think and create a better future. Our presence in each of the education verticals is marked with technology-enabled products, high quality people, structured processes and entrepreneurial leadership, that come together to deliver unmatched value. From pre-school toddlers to post graduate students, from core curriculum subjects at the school & college level to vocational & employability skills for young, about-to-enter-the-job-market adults; Educomp reaches out to the entire education life cycle. Founded in 1994, the company today has 27 offices worldwide including an office each inCanadaandSri Lanka, two inSingapore, three in theUnited States, and 20 inIndia. Educomp reaches out to over 5.3 million students in over 10,000 private schools, over 6 million students in over 11000 government schools. We also run over 840 pre-schools, 69 K12 schools, seven colleges, one higher education campus, 343VocationalTrainingCenters, 74TestPrepCenters, and have 4.2 million users of our online learning properties. It is because of our obsession with high quality in everything we do that Educomp is fast becoming a single trusted brand that defines Education. The Company is listed on the Bombay Stock Exchange and the National Stock Exchange. Educomp is a leader in digital content solutions for the K12 segment. Educomp smartclass is our teacher-led educational content solution that dramatically improves learning outcomes in Private Schools. Recently launched new, improved version of Educomp smartclass has raised the barriers to entry for competition even higher. The smartclass Class Transformation System (orCTS) and the smartclass Digital Teaching System (or DTS) are the biggest and most innovative initiatives in the space of digital classroom content and digital classroom hardware respectively. For government schools our EduReach has partnered with 14 state governments, implementing large scale public-private-partnership projects, taking IT education and IT enabled learning to the remotest of schools across the nation. As part of this program, the Company sets up Computer Labs in Government Schools, provides Multimedia Content in regional language, testing and certification in computer education, full time assistants as well as teacher training, monitoring and supervision. Educomp entered US and Asia Pacific markets through acquisitions and partnerships. Our subsidiary, Wizlearn Technologies (formerly known as ASKnLearn) focused on Pan Asian market place is based out of Singapore. Wizlearn also caters to institutions of higher learning and corporate clients in Singapore, the Philippines, Indonesia and Brunei. We are currently expanding our operations into China through our partnership with CDEL (China Distance Education Holdings), China’s leading online education company. Our subsidiary in the US, Learning.com is the leading web based K12 Company in USA. In Middle East our Joint Venture Company is called Educomp Arabia Co Limited. Educomp Solutions Nigeria Limited has been registered as a doorway to Africa region.